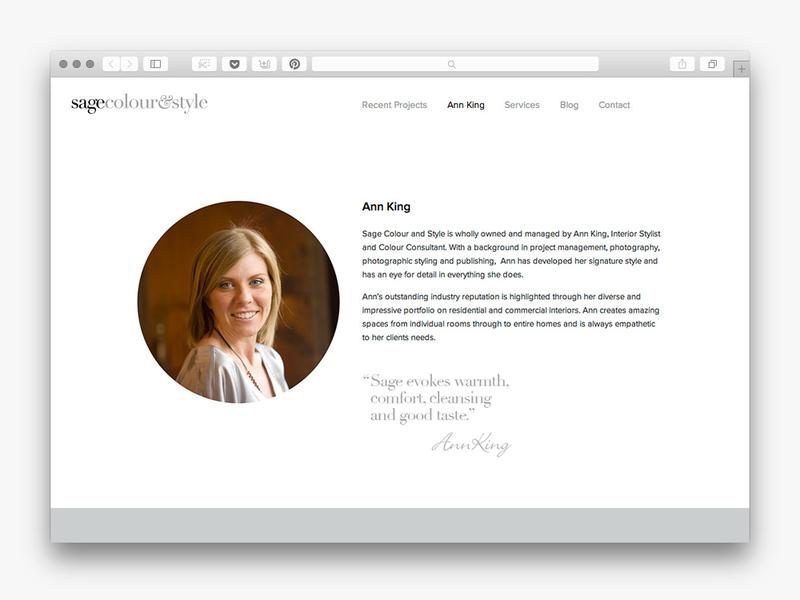 Marketing consulting with print and online communications implementation for successful interior designer Ann King. Ann King and the Sage Colour & Style team provide interior design services to support residential construction on new homes or renovations, interior decoration and colour consultation with existing homes. Led by the vision of Ann King, the goal for Sage Colour & Style was to raise both her personal and business profile within the industry. We helped to refresh and redefine the brand through a well defined online and social media strategy executed through powerful marketing tools and regular ongoing marketing communications. As the outsourced marketing department for Sage Colour & Style, we have worked across all facets of their marketing including brand, online, communications, public relations and planning. Sage and Ann King are now a renowned authority in the industry. A range of ongoing marketing services have been delivered for Sage Colour & Style, raising the overall profile of the business within a highly competitive field. The detailed analysis and research provided by Mind Methods have strongly assisted the solutions delivered as this fast-growing SME continues to make it's mark in the industry.